Output: Seven relay output channel. 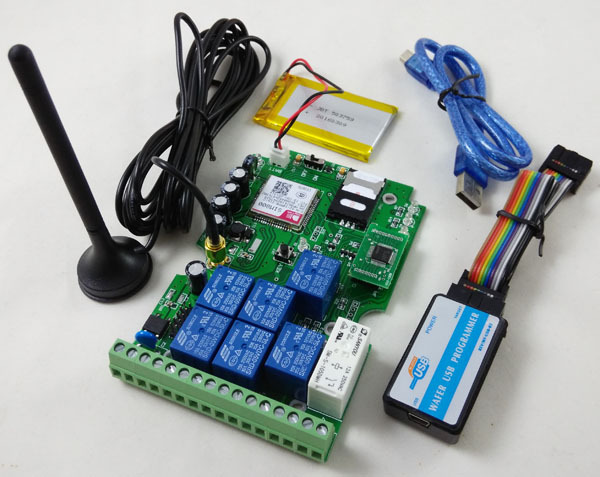 The GSM-RELAY is a wireless gsm SMS remote control switch that connects to the GSM cell phone network. 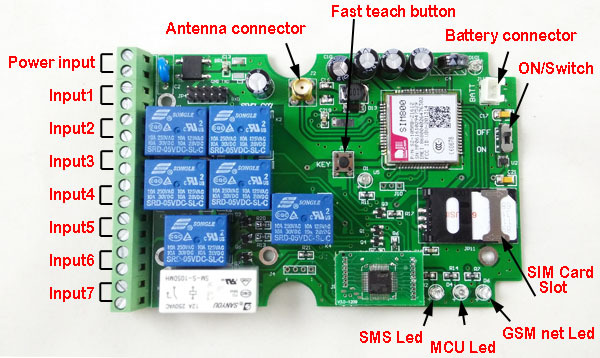 It has seven independent relay switches, and the NO.1 Relay switch is activated by calling its cell phone number, it will reject the call without answering and switch on the device connected to it,then there are no call costs incurred when dialling the unit, it will recognise an authorised telephone number calling it and reject the call without answering. 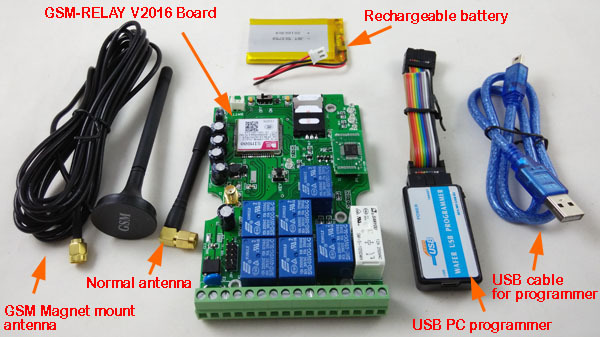 It has other 6 independent relay switches which can be switched on or off by sending the GSM-RELAY an sms text message to control.